My students are very interested in beginning sounds. They are asking me all the time what's the beginning sound of words they hear, items in the classroom and basically all items in their environment. To keep the Dr. Seuss' festivities in our classroom and providing extra beginning sound practice, I created this game scaffolding for my advanced students as well. 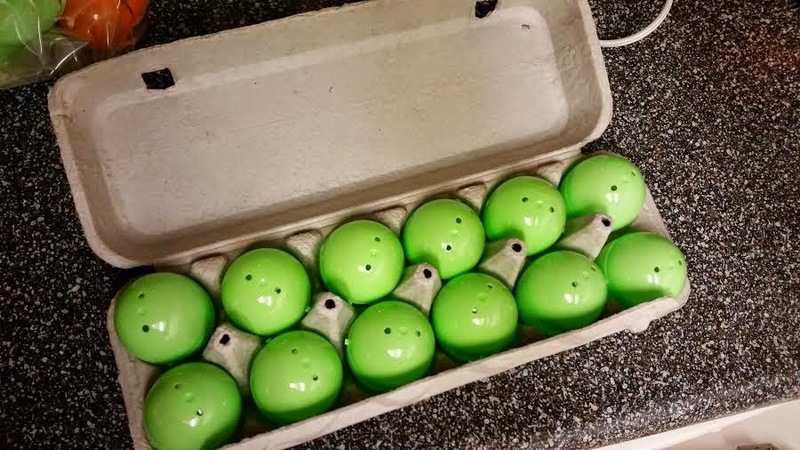 The green set of eggs targets my advanced students. 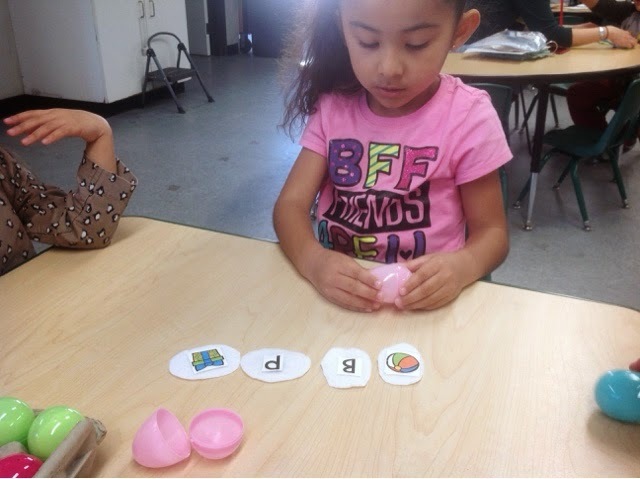 Without matching colors, they would have to open the eggs and match the picture and the beginning sound letter. The colorful set has 6 pairs of eggs. 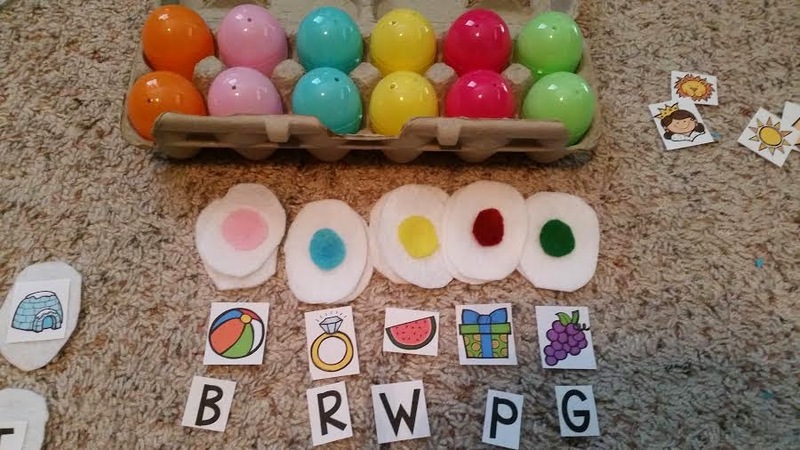 This set would be easier to identify the beginning sounds while matching the eggs colors. 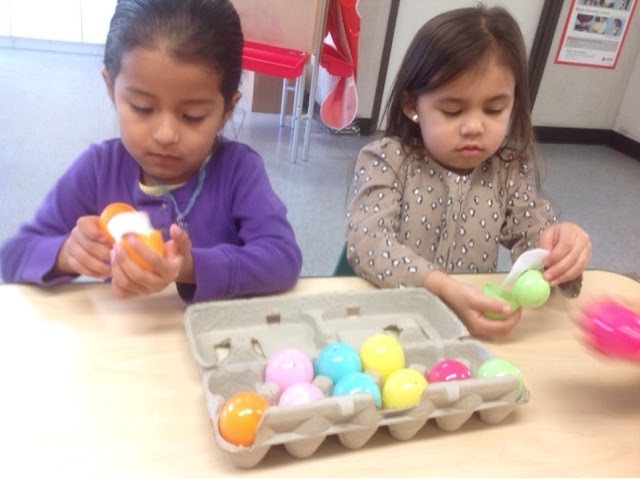 Once they opened the pair of eggs, they were encouraged to say the picture, letter name, and letter sound. This little activity has been able to assist me for assessments as well.